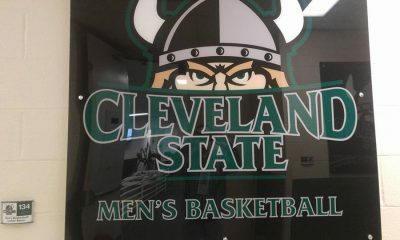 • Cleveland State closes the regular season on Saturday (Feb. 25) when the Vikings host Youngstown State at 3:30 pm in the Wolstein Center. • It will be a doubleheader with the CSU women hosting Oakland at 1:00 pm. • Demonte Flannigan and Tim Hasbargen will be honored in a pre-game ceremony for Senior Day. • CSU is 8-21 overall and 4-13 in the Horizon League after a 91-83 setback at Detroit Mercy on Tuesday. YSU fell at Oakland on Tuesday, 101-72, to fall to 11-19 overall (5-12 HL). • Saturday’s game will be broadcast live on the WatchESPN app/ESPN3 and AM, 1420 WHK with Al Pawlowski and Pat Vuyancih providing the commentary. 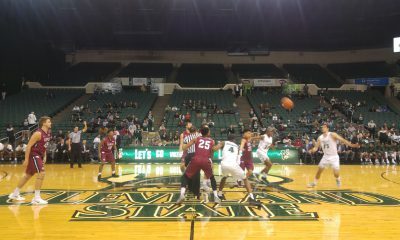 • CSU leads the all-time series with YSU, 45-41, and has won 14 of the last 20 meetings between the two teams. • The 86 games are the most CSU has played against a school in program history. • YSU won the first meeting this year, 67-64, on Jan. 28. • CSU is 26-15 all-time vs. the Penguins in Cleveland. 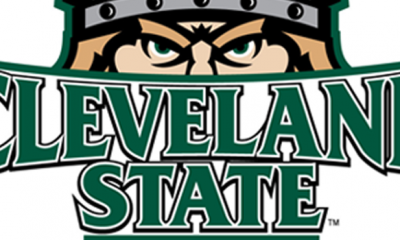 • The Vikings open play in the Horizon League Championship on Friday (March 3) at Joe Louis Arena in Detroit, Mich.
• If CSU is seeded seventh or 10th, the Vikings will play at 5:30 pm. If the Vikings are the eighth or ninth seed, they would play at 8:00 pm.